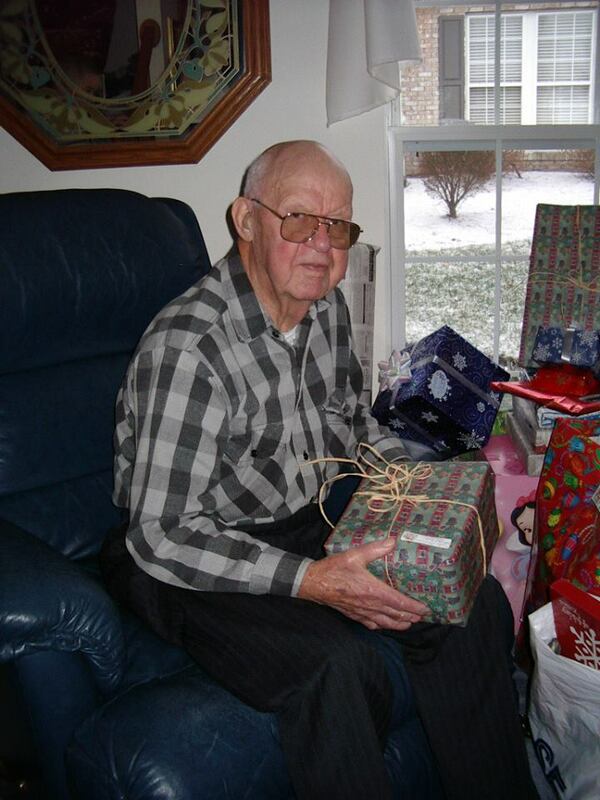 I’ll never forget the day the neurologist at the VA hospital gave us my dad’s diagnosis of Alzheimer’s Disease. To be honest, I knew enough to have made the diagnosis myself as I observed the testing. Dad flunked every one of the tasks asked of him. Mom and I suspected Alzheimer’s but had been living solidly in denial for a couple of years. Dad’s jolly, easy-going personality had changed to insensitive. Uncooperative. Sometimes mean. The diagnosis came years before he passed away. We lost him, though, in dribs and drabs, as he withdrew from us and from reality. But he never forgot us. He knew who we were until the end. Alzheimer’s is one of those diseases that affects everyone a little differently, and it morphs from day to day. Which is why I was even more deeply in denial when my mom started showing symptoms. Not the same symptoms, but something wasn’t right. Even worse, having dealt with her mother and husband’s illnesses, Mom knew. The look on her face when she started losing her words broke my heart. 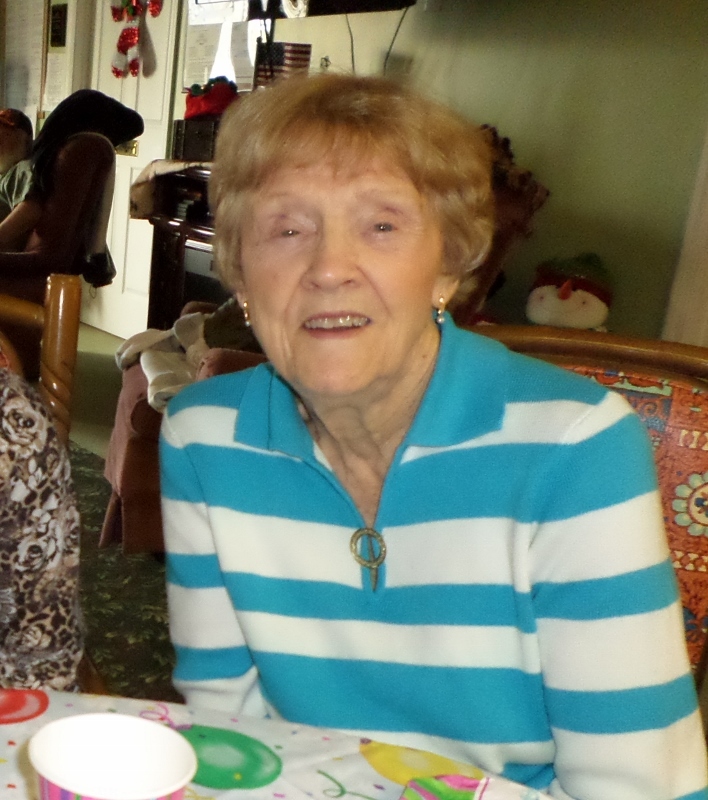 Her diagnosis wasn’t Alzheimer’s but a “close cousin,” vascular dementia. She passed away almost exactly ten years after we’d lost my dad. So, yeah, I’m passionate about the Alzheimer’s Association. I created the character of Harry Adams, Pete’s father, to honor my dad. I’ve written and blogged in the past about how I imbued Harry with a number of Dad’s more endearing traits while leaving out or only lightly touching on the difficult stuff. I want readers to want to spend time with Harry. 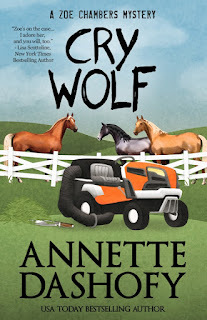 More rarely do I mention that I donate a portion of my royalties from the sales of Lost Legacy and now Cry Wolf to the Alzheimer’s Association. It seems awkward, maybe even disrespectful somehow to shout “buy my books” in order to raise money for my pet cause. 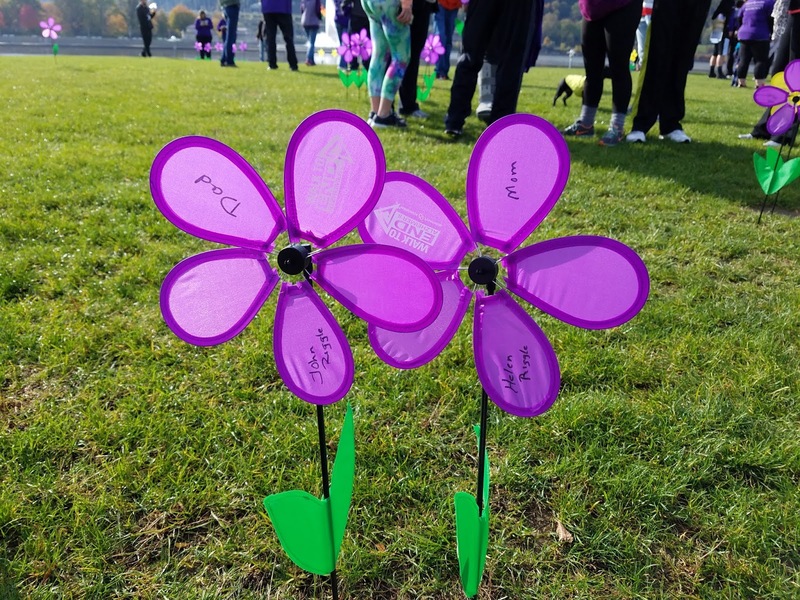 However, I’m participating in the Walk to End Alzheimer’s for the fourth year coming up next week, and I’m in full-blown money-raising mode. More than merely “buy my books,” I’m asking, begging, please consider donating. I’ve set a modest goal of $500, a goal, which as I write this, I’m very close to meeting, but I’d still love to see the total grow. Maybe $5 or even one dollar is all you can spare, and you don’t think it’s worth the effort. Honestly, every dollar helps, and if you contribute it on my fundraiser page, the dollars will add up and be much appreciated. 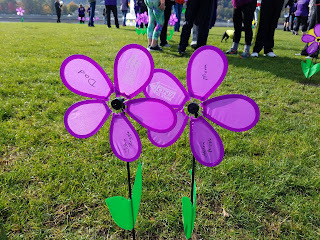 I also promise I won’t blog about this again…until next year’s Walk. Everyone has them, especially writers. Those little voices inside your head. An idea urging you to take notice. A future character calling to get your attention. Sometimes you can't shut them up. Other times, they're painfully silent, and you beg for them to speak. I’m guessing this happens to every writer, but I probably endured more than most. I knew from the young age of eight that I wanted to be a writer. I started out with short stories and plays. I worked as a reporter for a local newspaper. But after I graduated from college, I entered a different profession, and the little voices started talking less and less. I spent the next 20 years waiting for them to speak again and say something—anything. Procrastination took over and fear and doubt as well. Tomorrow, I told them. I'll write tomorrow. Hold that thought! A writer needs to have a lot of patience, and that sometimes has been my downfall. I expected to get everything right the first time I put it all down on paper, and that simply doesn’t happen. If an idea or thought wasn’t working, I got frustrated and crumpled up the paper. Years later, I’d simply hit the delete button on my computer. I never put the time in to try and work with what I already had. Perhaps I should have taken Nora Roberts’ words to heart: "I can fix a bad page. I can't fix a blank page." As more time passed, I thought about what Sue had said and knew she was right. Another idea came to me and the little voices started to babble again. One day, about five and a half years ago, I forced myself to sit down at the keyboard. 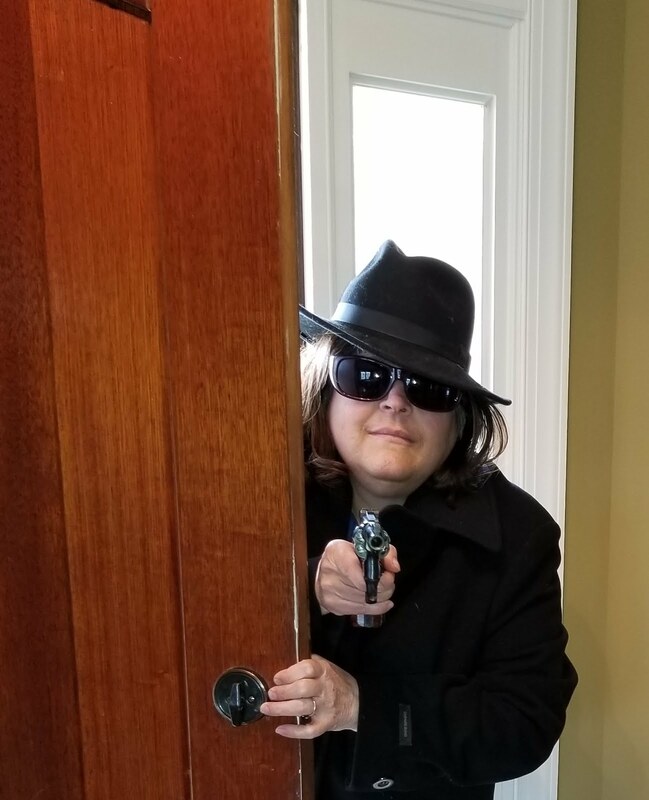 I always wanted to write mystery and thought it would be great fun to create a story about a real estate agent accused of killing one of her co-workers, especially since I was licensed and knew the business. So, I went to work. This time, I didn’t delete the story when I came to a bump in the road. I kept at it and the process got easier the more I wrote. Who knew? 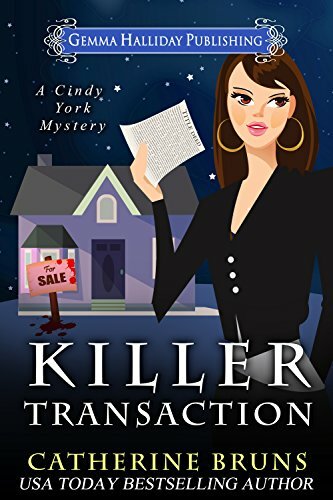 I wrote my first novel, Killer Transaction, back in 2013. A few months later I had an agent. She started querying the book for me. While that was happening, I started a second series. 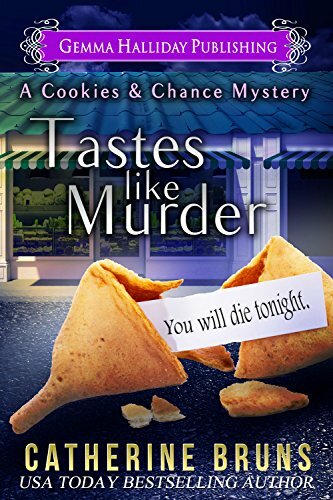 Tastes Like Murder was the first book in the Cookies & Chance series about a young divorced woman who runs a novelty cookie shop in the Buffalo area. When Killer Transaction didn’t sell, my relationship with my agent came to an end. I was crushed but even more determined than ever to become a published author. 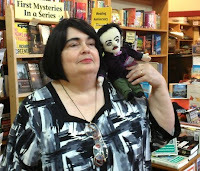 I liked what I saw at Gemma Halliday Publishing, a boutique publisher of cozy mysteries. Gemma published both books in 2015. Tastes Like Murder performed better than I’d hoped. I never expected to sell thousands of ebooks in the first month of publication. 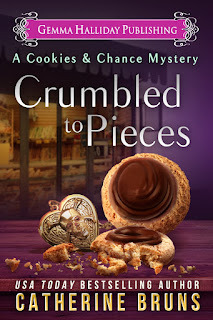 Crumbled to Pieces released this week. It’s the sixth book in the series. Since 2013, I’ve written 13 novels (all cozy). With the help of my new agent, I’ve also landed a traditional deal. 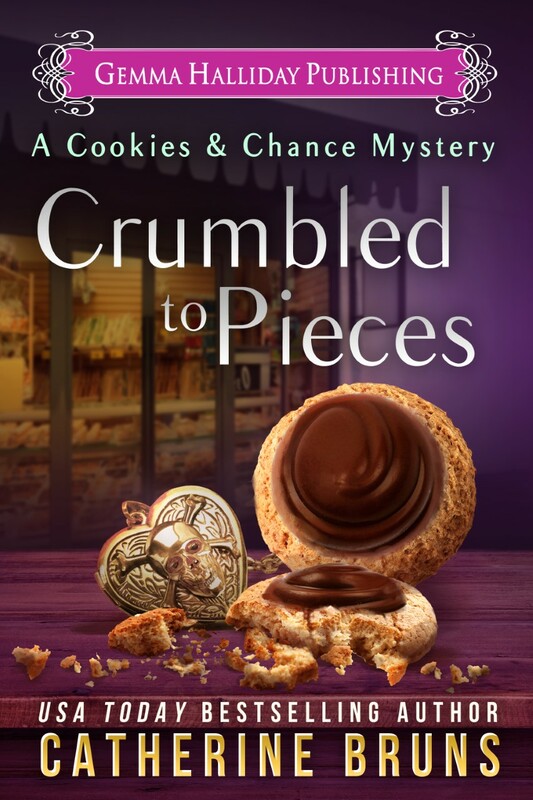 The Italian Chef Mysteries debuts with Sourcebooks in August 2019. I’m excited to start this new chapter in my career. I’m even working on my first book that’s not a cozy! Now the little voices have taken over. They talk to me all the time—when I'm driving, in the shower, when I'm people-watching at the grocery store. They enjoy keeping me up at night. They've awakened from their twenty-year sleep in typical Rip Van Winkle fashion and I don't think they're going anywhere. Remember, the little voices are always there. Just make sure that you’re listening for them. 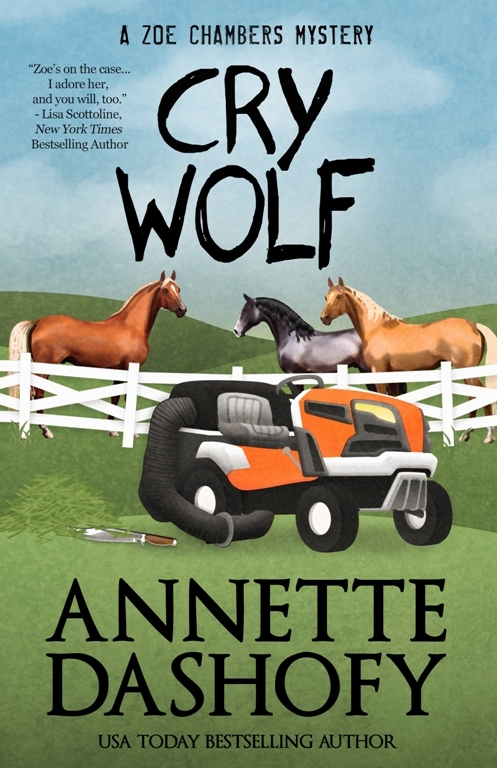 USA Today best-selling author Catherine Bruns lives in Upstate New York with an all-male household that consists of her very patient husband, three sons and several spoiled pets. Catherine has a B.A. in both English and Performing Arts and is a former newspaper reporter and press release writer. In her spare time, she loves to bake, read and attend live theater performances. Readers are invited to visit her website at www.catherinebruns.net. I read quite a bit less science fiction than I did when I was a teenager but I admire good writing and I am happy to say Old Man’s War stood up to the title and the opening. The premise is that the skills acquired over a lifetime and willingness to sacrifice self for others made older adults preferable as soldiers to younger people for the particular conflict the earth was in. Face with the prospect of further natural physical deterioration, or taking a chance on the unknown, John Perry and his wife, Kathy had planned to join the army like many aging people did in hopes that the army had ways of extending life and rehabilitating older physiques. Kathy died unexpectedly, which left the protagonist with few emotional ties. He joined the army as they had planned to do together. In the scenario of the author’s novel, a person who joins the army becomes officially dead on the planet earth and can never return there. However, there are colonies of humans on different planets. If recruits can survive their term of service they can opt to join a colony. But it’s a pretty big “if.” The universe is full of species and habitable worlds are relatively few. Soldiers defend the human colonies and fight to acquire new worlds already occupied by sentient beings. Scalzi portrays the “hurry up and wait” mentality of military forces along with the guilt and trauma of battle. His rejuvenation procedure is as feasible as it is unexpected. I like the balance of surprise and realism. Because writers work hard to keep surprises, tension, and atmosphere (literally this book) going I will just say that truly enjoyed the book and I am eager to find others by the author. I recommend it highly. than I and yet who have not the wisdom to know it. And bitterly woebegone in my absence. And who having no conventional consciousness, have no sins. and all the other models I have studied. To themselves In short the most gloriously satisfactory chums who ever appealed to human vanity and to human desire for companionship. To our ten Sunnybank collies. Dusty with my little sister Cathi. The first collie I got was a stray who turned up when I was in my teens. She probably wasn’t a purebred collie, but I loved her and called her Dusty because her coat wasn’t pure gold but more a dusty gold. Unfortunately after I got married my parents gave her to a farmer because my husband and I were living in an apartment which wouldn’t allow dogs, of course, especially not a large dog that wasn’t housebroken. 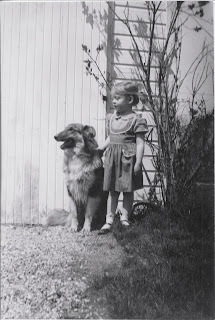 The next collie I got was after my husband had built our house in Champion close to where I had grown up. We had four children then. I saw an ad in the paper for a collie for sale, and bought him. His name was King. He was a well behaved dog who stayed in the yard and was good with the kids, but one Sunday morning a pack of dogs came across the road chasing a deer through our yard, and King joined them on the race through the woods behind our house that ended at another road where he was hit by a car. I found a collie puppy advertised and bought her. I forget now what we named her. At that time we bought a house with some acreage and moved out of the house my husband had built to that house. Shortly after we moved there, one of the kids took the collie put out of her kennel and forgot to put her back, and she got hit by a car, too. My daughter who had forgotten to put her away really grieved for her. I didn't take a picture of Eliza or if I did I have no idea where it is. The next collie was one my husband found in front of the plant he worked in going up and down the sidewalk in front of his shop and the restaurant across the street where he and his friends ate lunch. That evening the pretty gold young collie was still going up and down that same sidewalk apparently waiting for whoever dropped her off so my husband picked her up and brought her home. I looked for lost ads in the paper and then took her to the vet because she had swollen lumps on three of her legs. She had not been spayed, either. The vet spayed her and removed the lumps. He figured who ever dropped her off did so because of the lumps which could have been cancerous. So I named her Eliza DooLittle like the character in the movies or books. Eliza was a sweetheart. Our house was far back from the road, and she never went near the road, and the barn cats liked her. She even cuddled up with a chicken that wasn’t well. We went for daily walks in the woods next to our house and she enjoyed those, too. Sometimes I’d see a cat or a chicken in her doghouse with her, too. However, Eliza got cancer, and there wasn’t much we could do about it. As long as she seemed to feel well, we didn’t have her put down. When she got really bad, rather than take her to the vet, my son took her in the woods and put her down with a gun and buried her at our place. After that the only dog we had for a while was a German shepherd puppy my son brought home. Of course, you know whose dog that dog became. He named him Pistol, and I took him for walks and he followed me when I went riding on my horse. 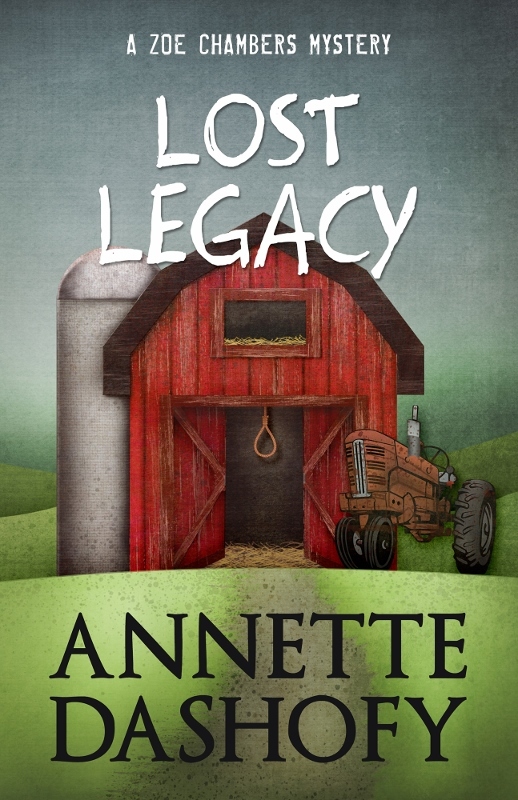 And then my husband and I got a divorce so I bought the farm I wrote about last week, and when the house we lived in finally sold, all the furniture and Pistol moved to the farm. Pistol was getting old now and had arthritis in his back legs and had trouble getting around. When he got to the point where he’d fall down and couldn’t get up, I had to take him to the vet’s and have him put to sleep. 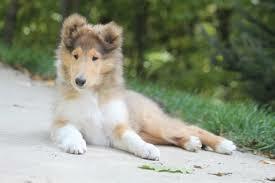 One day I saw an ad for free collies that had been found. I went immediately to the home that advertised them. There were two of them, but the one was already claimed. They were both white collies. I had never seen white collies before. One jumped up on me and planted his paws on my shoulders. I figured he was adopting me and took him home. I had him a little over a month and then when I had gone to Washington State with my local siblings to visit our sister and her husband out in Washington State, the collie got sick and died. He must have eaten something that wasn’t good for him. At that time my two grandsons were helping my son put on a new roof, and at that time they chewed tobacco, too. Thank goodness they stopped eventually, but it’s possible the dog ate what they spit out. .
After that I still watched the paper for a collie, and saw nothing until I bought a Sunday Cleveland Plain Dealer Newspaper and saw an ad for collie puppies. Immediately I called to get directions and my best friend Phyllis and I went up to check the puppies. They only had two left so I picked the smaller female one, and named her Molly. Molly was a sweet dog and the first house dog I ever had. I so loved that dog and she was so well behaved and sweet. Once when I was weeding a garden, she discovered a nest of baby rabbits under a rose bush in a partially underground nest. Of course, I put the little bunnies back and took her in the house. The next day when I was in the barn, I saw she was missing so I went looking for her. She had taken all six or seven of those little bunnies out of the nest and had them lined up in a side by side row. As I approached her, I saw her pick one up and toss it in the air and then catch it. Poor bunnies. I tied her up by the barn, and put the little bunnies back in the nest and covered it with some brush. I kept an eye on her after that. Just before Molly turned five years old, she developed grand mal seizures. The vet put her on some medicine which helped a little, but she still had mental problems like going into a corner in the house and having trouble finding her way out again. She would go back and forth outside my back door like she couldn’t figure out how to get in. I took her to the vet again when she was having trouble walking they gave her some shots. So I took her home. Then one evening her hind quarters gave out and she couldn’t get up. I took her back to the vets and they told me they couldn’t help with that. So I agreed to them to euthanize her. I sat on the floor singing to her while she licked the tears from my cheeks. I took her home and she’s buried by one of my flower gardens near my house. I wrote a poem about a yellow leaf on a black dog's back. I missed her so much. 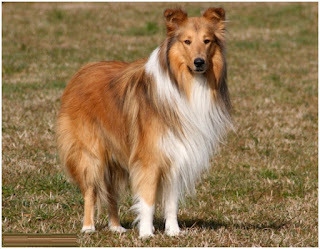 My daughter Mary felt I should have another collie as a watch dog so she searched to find a collie breeder which are rather scarce anymore for some reason. She found one not too far from where I had taught school. I called her and was told she didn’t have any right now, but two of her girls should have puppies in the fall. She called me early in September to tell me her girls didn’t have puppies, but she had an eighteen month old collie who didn’t show well that she would sell. Well, I certainly didn’t plan on showing any dog so my friend and I went out to Mantua where we found Maggie. Of course, that wasn’t her name, it was Twin Cities Born to Dance. I had to agree to take her to a vet to prove she was in good health and to have her spayed which I did. The next day the woman called to see how she was doing. I told her very well, but I hadn’t heard her bark yet. She told me she had all her dogs muted. When Mary called to see how she was doing, I told her about her being muted, and Mary said to take her back and get our money back. I told her that she paid half and I paid half, and she owns the back half of my new dog and I own the front half and I don’t care if she barks or not. Well, she does bark and probably earlier not as loud, but she does bark enough now that I can hear her if she’s outside, or if I’m upstairs and she’s downstairs. Brat Cat and Maggie are now best friends. Maggie’s only growled once and that was when I was house sitting with my then daughter-in-law’s little mixed breed morky who was being awfully obnoxious. Maggie bowed down to the little dog and growled. He went under the coffee table and that was the end of that. They got along for the rest of the weekend. Maggie and Henny Penny on my back steps. Once I was given a poor hen that friends of mine had coming over to their house because the neighbors let their hens and roosters out and the roosters were picking on it. Well, my old hens picked on her, too. And she kept escaping, and then decided Maggie would be her friend who would take care of her. Fortunately, eventually the old hens accepted her so now at least I’m getting eggs from her. Once when I went on a camping trip with my siblings, my granddaughter Sami took Maggie to her house to take care of her. When she came around a corner, she saw her two-year old daughter Ellie, pulling her tongue out to see how long it was. Maggie just let her. When my son has his grandchildren over to play outside and I happen to be outside with Maggie, she enjoys letting them pet her and once they realize she’s not dangerous they love petting her. Maggie and I on one of our walks in my woods. As for a guard dog, I think she would bark and wag her tail so much no one would be afraid of her. I’ve been told though that if anyone attacked me she probably would fight them, As for me I’d much rather have a gentle dog than one who could turn vicious. Have you ever had a collie? What kind of dog did you have other than a collie? Labels: The collies I've had. 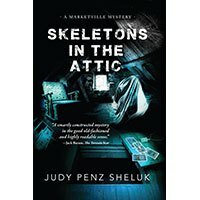 One of the best things about traditional mysteries is the puzzle they present—readers trying to solve the mystery based on the information and clues the writer weaves into the story. 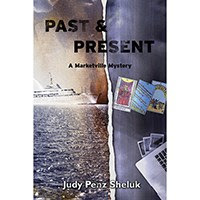 Judy Penz Sheluk, in her most recent mystery, Past and Present, provides readers with an intricate puzzle that had me turning pages. I didn’t want to put it down. Welcome back, Judy, to Writers Who Kill. 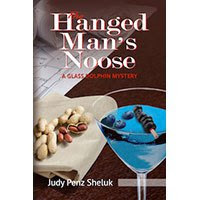 The latest book in your Marketville Mystery series has your main character, Calamity “Callie” Barnstable forming a team for her Past & Present Investigations business. What exactly is her business? Past & Present Investigations isn’t your typical P.I. firm, in that neither Callie, her partner, Chantelle, or their team are licensed private investigators. Rather, Callie is taking the skills she acquired in Skeletons in the Attic, when searching for the truth about her mother’s disappearance thirty years earlier. Their first case involves a thirty-five-year-old woman looking for information about her grandmother, who immigrated to Canada in 1952 and came to a “bad end” in 1956. 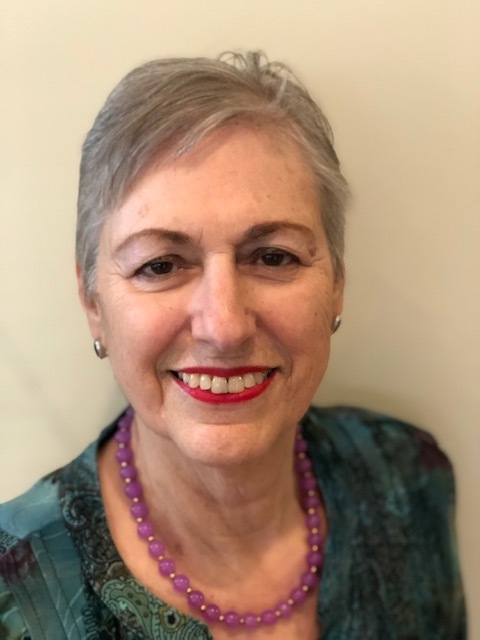 Her team includes a genealogist, a research librarian, an antiques expert, and a resident psychic. What do these different areas of expertise bring to the team? I’ve recently become somewhat fascinated by genealogy and relatives I’ve never met. I thought an expert in this field could explore that in their investigations. The research librarian culls old newspaper articles looking for information. The psychic specializes in tarot, and she’s started a Misty’s Message page that has proven to be far more helpful than Callie (who wasn’t crazy about the idea) could have anticipated. Occasionally Callie relies on the aid of someone with a skill in psychometry or psychometrics. What exactly is that? Psychometry is another name for object reading. It’s based on the theory that the human mind radiates an aura in all directions, which impresses everything within its orbit. Since all objects are porous, the minute holes in the object’s surface collect fragments of the mental aura of the person who possessed the object. There’s no scientific evidence that psychometry exists, and skeptics explain alleged successes of psychometry by cold reading and confirmation bias. Callie definitely leans towards the side of non-believer. The team members are quite skilled in doing research using various media. Since you write about it so convincingly, do you have a background in doing research? 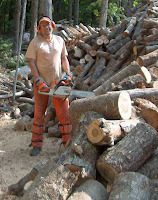 I’ve been a fulltime freelance writer and editor since 2003, with a lot of that work done for a wide variety of trade and consumer magazines (home building, finance, agriculture, antiques, engineering, pile driving, travel etc.). One of the skills you acquire pretty quickly if you want to be successful as a freelancer is the ability to research, which usually includes talking to experts (people love talking about their work/passion). Behind each of my team members’ research is me, the author, making sure even the small details, like old train schedules and ship menus, are accurate. In her dealings with a psychic and psychometrics, Callie went from being a complete skeptic to a hopeful cynic. How about you? Are you a complete skeptic or a hopeful cynic? Anyway, being the stellar teenager that I was (hey, this is my version of the story), I agreed to go with them and so off we went. I’ll admit to being a major league skeptic, especially after the first few objects garnered generic responses like, “The person who gave you this ring meant a lot to you, didn’t they?” and so forth. It was all I could do to keep from laughing out loud. When my turn came, I handed him a gold locket given to me by my father two month’s before his death. I was expecting the usual rhetoric when the psychic doubled over, clutching his stomach, his face writhed in pain, tears trickling down. I watched transfixed, wondering how he could have felt my father’s pain while holding that locket, when he handed me back the locket and said something along the lines of “He is watching over you.” My mom and Kay became life long believers. I never went to another psychic. Callie is always reaching for a cup of rooibos tea. What is rooibos tea? OMG, you’ve never heard of rooibos tea? You are missing out! It’s herbal, no caffeine, and the tea is made from the leaves of the African rooibos bush. My favorite blend is by Tetley Tea and it’s called Warmth. It's a blend of cinnamon, spices, and rooibos. I think it may only be available in Canada. Well, we need the warmth up here, at least in the winter! Editor’s note: I discovered rooibos tea is also available in the U. S. and will have to try it. After successfully publishing books with an established publishing company, you took a huge step and set up Superior Shores Press, your own imprint. What prompted this step? 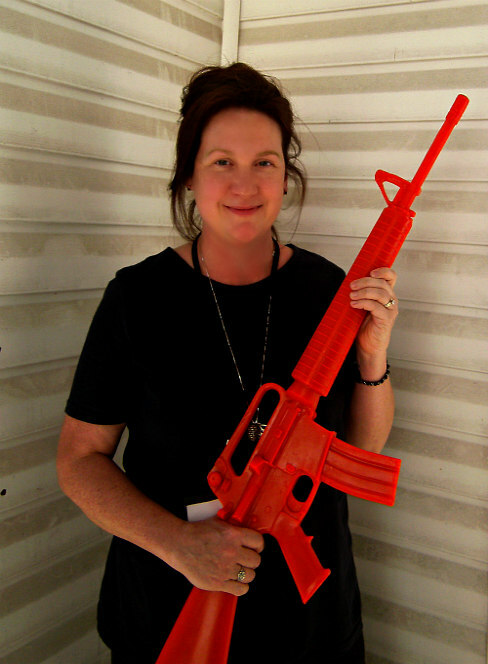 When I signed my contract with Barking Rain Press (www.barkingrainpress.org) in 2014, I never dreamed I’d want to self-publish. But I’ve learned a lot about the business since then, and I’ve also realized that when you’re with a small press, most of the promotion lands on the author’s shoulders. Even so, the author has no control over pricing etc. and the process of getting published is painfully slow. I set up Superior Shores Press in February 2018. I hired a professional editor for Past and Present, one I’d worked with from Barking Rain, and also a professional proofreader. I hired a cover artist, Hunter Martin, and I love the cover. I’ve had input before, but never control over every step. It’s quite exhilarating. Whether I earn back the money I invested upfront remains to be seen, but if I was doing this, I was doing it right. Now that you have four books in print and some short stories, what do you know now that you wish you had known when you started writing? That the writing part does get easier. You learn to be more efficient with your time and your words. I’d also tell my old self to buckle up and get used to doing a lot of shameless self-promotion. What’s next for Callie and her team? I’m midway through book 3, which was inspired by an article I read in my local newspaper. Beyond that, I can’t say. I’m terribly superstitious about stuff like that. Today in the Georgia Lowcountry, the temperature is hovering in the upper eighties, the humidity around ninety-five percent. My yard is filled with pines and live oaks, which remain thick with green foliage, and there is not a single leaf falling. Yet it feels like autumn, even if there is no nip in the air. The clarified light gives it away, this turning of the seasons. That and the smell of muscadine wine fermenting in my downstairs bathtub, the closest thing I have to a cool, dark basement. When I was growing up, that pungent pong signaled the end of summer. 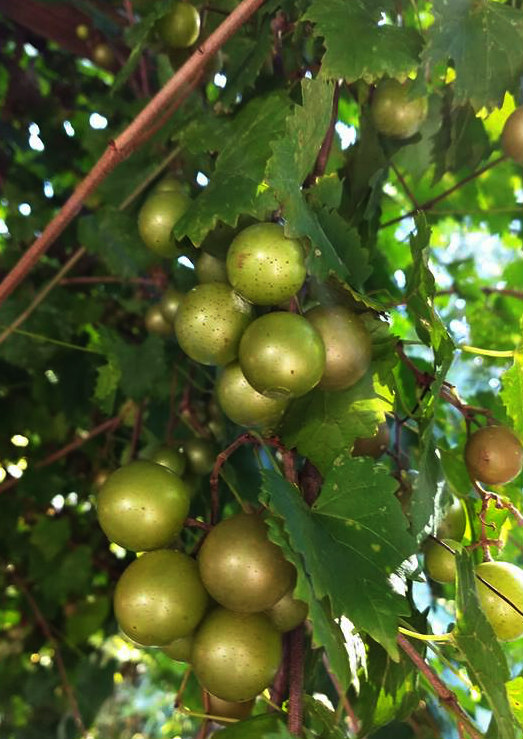 It meant that the grapevines had finished producing, and that my father would be turning his attention from planting and weeding and harvesting to home brewing. And it meant that we’d have bottles of sweet wine ready for the grown-ups to drink on Christmas Day (and for us youngsters to enjoy in the fruit filling of my mother’s Lane Cake, a treat she baked only once a year). I’m one of the grown-ups now, thank goodness, so I can have my cake and drink my wine too. My father no longer makes wine, so he gifted me with his giant glass brewing jars—the ones currently taking up all my spare bathtub space—and his secret recipe, which isn’t really a secret at all—I share it below—but I call it that because it makes a better story. There’s nothing fancy here, folks. The yeast is regular old yeast like you find in the baking section of the supermarket (though I’m experimenting this year with yeast specifically for white wines). There are no specially engineered bungs and airlocks, no hydrometers and pH sticks. Just big glass jars with balloons on the neck that inflate as the mashed-up fruit ferments. 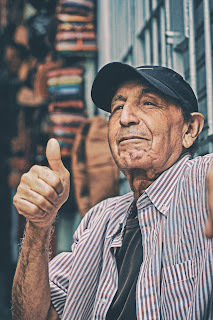 As I move into my fifties, I find myself coming into skills that I never had as a callow youth, gifts I inherited but could never fully utilize. My green thumb didn’t develop until my forties, and neither did my winemaking abilities. I think it has something to do with patience and attention, an appreciation of slow time, a willingness to settle into cycles and seasons. My 2018 vintage is already bubbling away. If you’re in my neck of the woods on Christmas Day, come by and I’ll share a glass. Or you can make your own. Here’s how. Cheers! You’ll need a large glass (preferable) or plastic container for fermenting—it should be big enough to hold all your ingredients, plus allow for the bubble of fermentation. I use a five-gallon pickle jar. Wash your grapes very well, removing any leaf or stem bits. 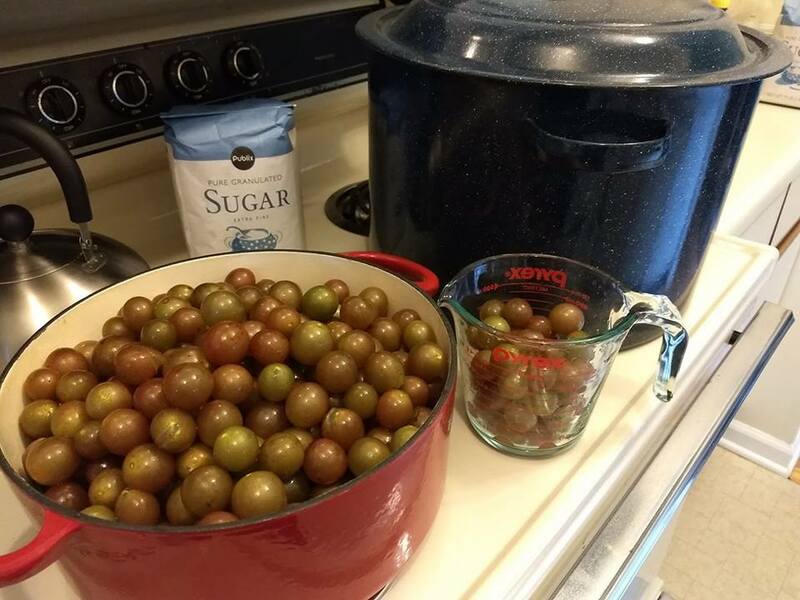 Get a big tub or cooking pot large enough to hold your grapes, and then crush them up good. You can do this with your bare hands (in which case, I recommend gloves as the juice is highly acidic), or with a potato smasher, or you can put the grapes in the freezer and let them burst, then thaw them to room temperature and continue. Combine the grapes (hulls and juice together) with the water and sugar and yeast. Cover the lid of your container with something that will let gas escape (cheesecloth held on with a rubber band works well, as does a balloon). Let it sit for about three weeks, stirring daily. 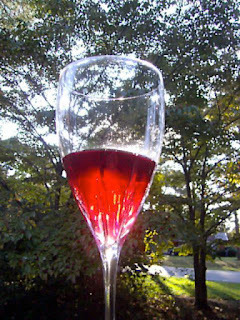 Once fermentation has stopped, remove the pulp and siphon the wine into a clean container, leaving any sediment behind. Let it settle for three weeks, then siphon off again. Repeat the settle/siphon process at least one more time, then siphon into clean bottles. Enjoy with people you love. 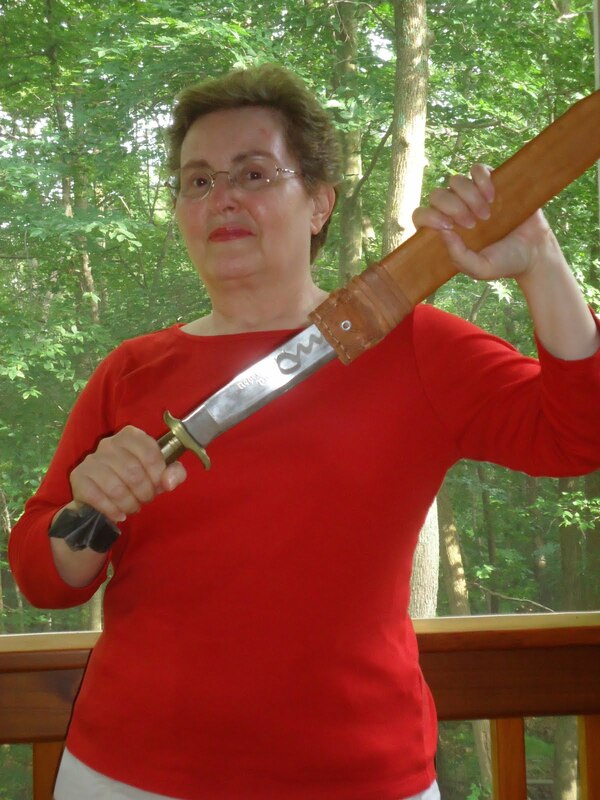 Tina Whittle writes the Tai Randolph mysteries for Poisoned Pen Press. The sixth book in this Atlanta-based series—Necessary Ends—is available now. 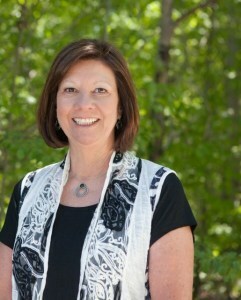 Tina is a proud member of Sisters in Crime and has served as both a chapter officer and national board member. Visit her website to follow her on social media, sign up for her newsletter, or read additional scenes and short stories: www.tinawhittle.com.